What bowlers mostly bring is a strong mental approach because this game can leave you staring at the walls of your hotel room at night if you let it. Think putting is hard? Try putting with a 15-pound ball of urethane or plastic on an almost unreadable green. For most of the day at the Pan Am Bowling Centre on Wednesday, the talk was about oil distribution, topography and the effects of microclimates on the overall environment. No, Canada's premiers did not suddenly descend on Planet Bowl, up in Mississauga, Ont., to argue pipelines, carbon pricing or the selling of Ontario's Hydro One utility. 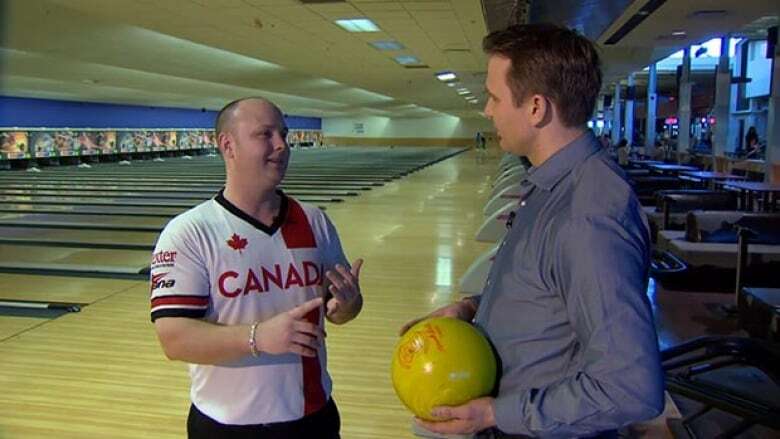 All sport specific chat, and the key to the first of four days in the "Olympics of Bowling," was one leading U.S. official description of the only chance keglers have of being part of a multi-event Games. At the low numbered end of the 34 lanes being used (in pairs) for the team competition, the men broke four Games records in the morning session, including a fabulous 299 by America's Devin Bidwell. He missed the hallowed 300 on his last shot when the nine-pin wobbled seductively but would not fall. Canada's two former world champions, Dan MacLelland and Francois Lavoie, led the men's by 63 pins (after scoring a record 2,712 total points) over Tommy Jones and Bidwell, headed for Day 2 and the medals. Note that MacLelland and Jones, who is a star, play on the Professional Bowlers Association Tour and you get an idea of the quality of player here. This place was crawling with future and current Hall of Famers (the latter as coaches or officials). At the high numbered end, over towards 47-48 where the women played in the afternoon, the conditions were leaving athletes shaking their heads. "The way this centre plays there is a lot of variances between each lane," said Canada's Robin Orlikowski, who teamed with Isabelle Rioux on a seventh-place finish after six games, with the final half-dozen for a medal on Thursday. "Even on the pair you are on, the left can play different than the right lane, so … it can really play on your mind." You beat that, we learn, by taking lots of notes (everyone dove into their books regularly during the long day) and communicating with teammate and coach. There's so much for the first time bowling journalist to take in, including the vagaries of the oil used on the lanes. It can make your ball go left and right, you can "push" the covering down towards the pins as the competition continues, or you can hit a dry spot that changes everything at the last moment. Putting lots of people in the centre (about 150 really serious fans a session, and if you want a ticket now good luck) along with officials and bowlers, creates microclimates in the building. As do air circulation systems and the location of the high-pressure hand driers in the bathrooms. That last factor may not be accurate. Also, each lane has its own topography with tiny rises and falls along the way. Learning it is such a challenge because after each game, you move over to another pair. It's why each athlete brings six balls to a tournament – some for nice curving shots, some rolling straight to make sure you pick up the spare, some breaking really late as a slider in baseball might, for tough splits. "Robin and I, this is one of our strengths, our mental toughness," said Rioux. "We are experienced bowlers on the team for 12 years each. We've been through a lot of tournaments like this – staying composed, not panicking, just keeping working and staying patient." Rioux had a six-game average of 194, while Orlikowski was 181, both well below their regular score of 220-230. They began poorly, 13th of 14 after Game 1, but fought back all afternoon to be fourth with a game to go before dropping to seventh, 27 pins behind fourth and 118 back of bronze. Through 168 games on the day, only three scores higher than 230 were registered by anyone. Didn't make the Canadians feel any better. "I'm not happy, not satisfied at all," said Orlikowski, whose husband Bill was a 10-year pro on the PBA Tour and is her regular coach. "I'm going to focus on my spares more [knocking down the rest of the pins after the first shot left some standing], take more time and stay within my bubble." Bowling – a game that seems to require one part geometry, one part physics and a good sense of humour to withstand that moment when you "stone an eight" (leave a pin there that should have fallen) – also calls for a little luck. To that end, Orlikowski famously lugs Gloria the stuffed gorilla around the world with her, adding more souvenir pins to its shirt as she goes. Gloria will come in handy over the next three days.